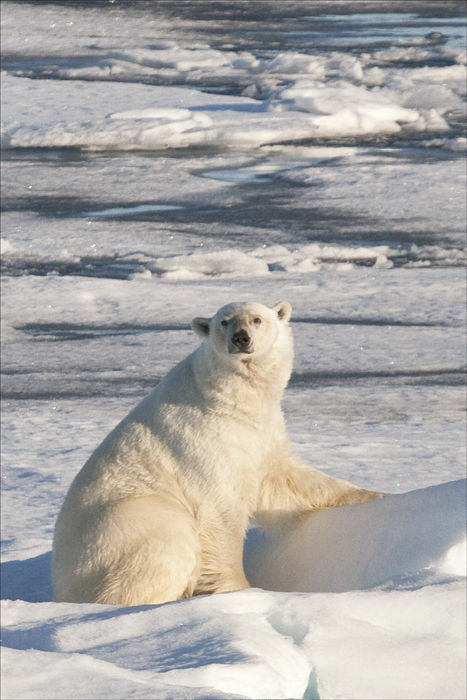 Male Polar Bear, extremely large at home on the pack ice. Roams at will in search of seals and anything else it can eat. Enviromental image.